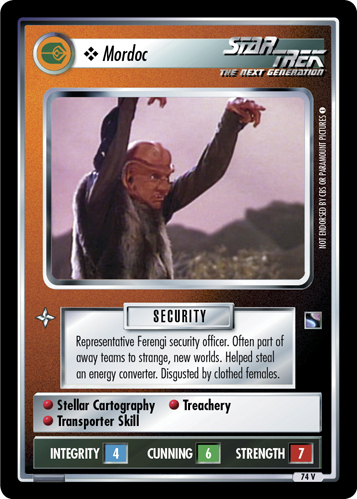 Security officer assigned to Taar's marauder. Member of Letek's away team to Portal 63's planet. Image Source: The Next Generation: "The Last Outpost"